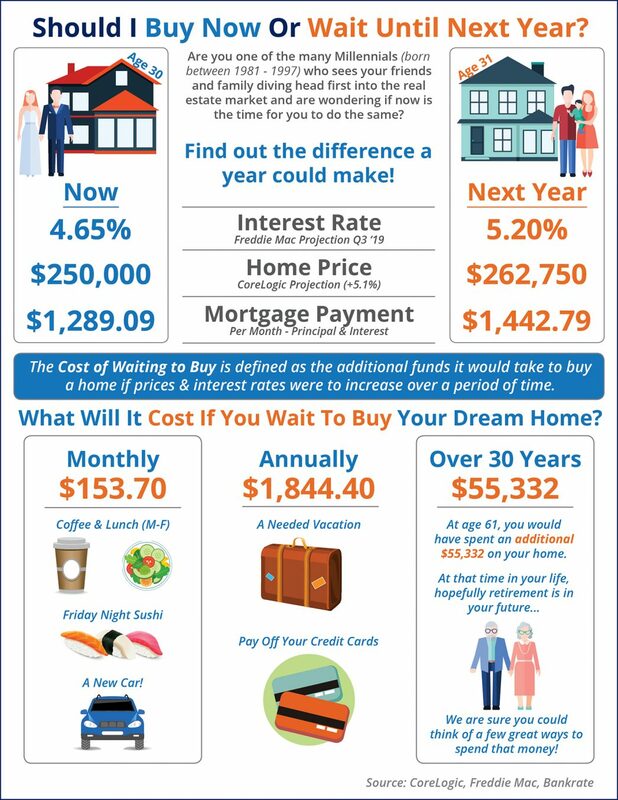 The cost of waiting to buy a home in a rising interest rate market! Have a goal of buying a home and stop paying your landlord's mortgage?... Thinking of waiting next year? Pretty common thought for sure. Check out this infographic from our Affiliate Partner KCM on the cost of waiting to buy. One thing to keep in mind is this is national trends...when you take into account Washington State, and specifically NCW, where Growth Management has limited potential homes and lots, you have a limited supply in the chain already. If you are ready and willing to-go through the process on what you should know to buy your home, contact AGENT509 today at 509.315.3630 or email at office@agent509.com.